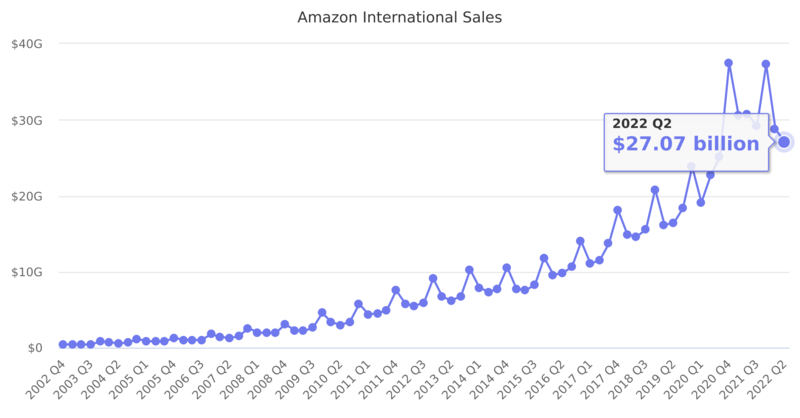 Amazon sales on international marketplaces, like Amazon Germany, Amazon UK, Amazon Japan and others. Last reported quarter 2018 Q3 it was $15.55 billion, up by 13% year-over-year from $13.71 billion. From $43.98 billion in 2016 it increased by 23% to $54.30 billion in 2017.